High prevalence of tobacco related mortality and growing health concerns have compelled governments across the globe to take measures to curb tobacco use by implementing prohibitive taxation, indoor smoking bans, and awareness campaigns about health risks, among others. Innovative products such as, e-cigarettes and t-vapor products are being developed, to explore alternate smoking cessation methods, that substitute the nicotine intake of smokers but eliminate or reduce the harm caused by tobacco cigarettes. The research study is a compilation of various segmentations including the market breakdown by product segment, by components, by distribution channel, and by region. This report provides a detailed market analysis and forecast of various product segments, namely disposable e-cigarettes, rechargeable cig-a-likes, closed tank systems, open tank systems, and t-vapor. Additionally, it also includes sub-segmentation of each product type by components such as, e-liquid, battery, atomizers, and tobacco sticks. The market has been analyzed based on various micro and macro trends influencing it. While highlighting the key driving and restraining forces for this dynamic market, the report also provides a comprehensive section on competitive landscape, industry attractiveness, market share analysis, competitive benchmarking, and the position of the competitors within the global e-cigarette and t-vapor market. How has the e-cigarette and t-vapor market evolved in the past and how is it anticipated to evolve during the forecast period from 2017 to 2025? What are the major market factors propelling the growth of the market? What are the various challenges that are faced by the industry that need to be addressed? Who are the key players across product segments and regions in the e-cigarette and t-vapor market? What are the key developmental strategies adopted by the key players to stand out in this market? What were the market shares of the different e-cigarette types and their components across countries in 2016 and 2017? How will the market and aftermarket for each product type of the global e-cigarette and t-vaporizer market grow during the forecast period? What will be the revenue generated by each segment by the end of 2025? Which distribution channels are used by players to market their products across regions and why? What will be the revenue generated through each channel through the forecast period? The report also includes an exhaustive analysis of the market for each geographical region, namely North America, Europe, Asia-Pacific, Latin America and RoW. Each geographical region analysis details the individual push and pull forces, and market and aftermarket for each product type, in addition to the key players from that region. 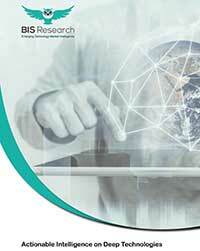 The report also examines the role of the leading market players involved in the industry. The company profiles section highlights significant information about the key companies such as their product portfolio, financial positions, and the SWOT analysis of these players. Some of the key players in the e-cigarette and t-vapor market are Japan Tobacco Inc., Altria Inc., Philip Morris International, British American Tobacco, Njoy, Apollo Ecigs, JUUL, Innokin, PAX Labs, and Flavortech.